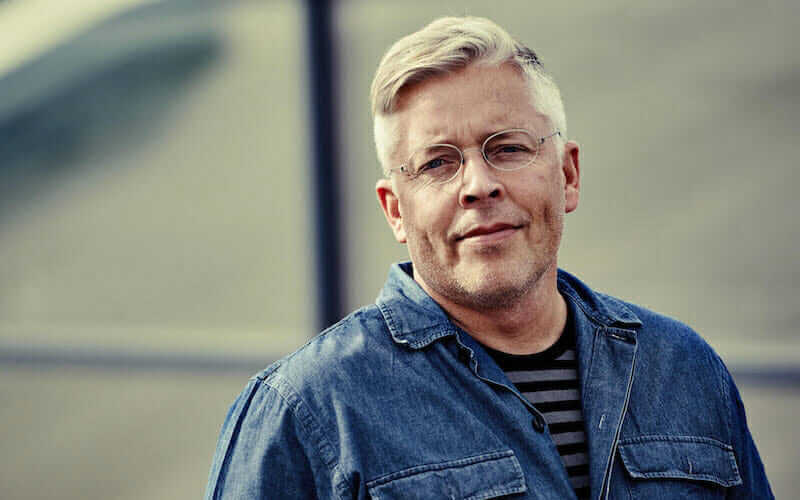 Since taking the role of head designer at IKEA several years ago, Marcus Engman has led a great effort to match the most well-known furniture company in the world with the best designers working in the business today. Why? Because he believes that high-quality design should be accessible to anyone. The desire to spread quality design to the masses, however, does not stem simply from promoting a sophisticated aesthetic; this also has to do with IKEA’s progressive efforts to run a sustainable, ethical business dedicated to fighting climate change at a corporate level. As head designer of one of the largest global retail giants, Engman has a lot of responsibility sitting on his shoulders, not only to create beautiful objects but to manufacture them in the most sustainable way the company can manage while also creating something of quality that can last over time. In May 2017 Engman discussed IKEA’s Democratic Design model and the impact of its sustainability efforts at the What Design Can Do conference in Amsterdam, which focused on the topic of climate change. Prior to his lecture, Engman talked about what IKEA implements into its current design strategy to fight waste as well as the advantage a large company has in challenging the corporate sustainability status quo. IKEA Head Designer Marcus Engman. We want to have a positive impact on the planet. It’s not only about IKEA being a good business in the way we produce, it’s also about IKEA being a good business in what we offer people. Products that are produced in a sustainable way is one aspect, products and solutions that help people lead a more sustainable life is another. This sometimes takes bold and daring decisions, like when we decided to go 100 percent LED. Most people agree that energy consumption must decrease if we are to reach the climate target we are aiming for. So in 2011, IKEA decided to phase out all other light sources, and by 2016 IKEA stores only sell energy-efficient LED lighting. To do that properly, we needed to give everybody the opportunity to make a sustainable choice. And how to do that? By offering as great LED bulbs as possible, at such low prices that as many people as possible can afford to buy them. Since energy consumption must decrease, volume is key. And a low price is the enabler. So the challenge was to develop a 1€ LED bulb, which we did. And it was good business, both for IKEA, our customers, and the planet. Ilse Crawford Collection for IKEA, 2015. According to Pacific Standard, IKEA uses close to 1 percent of the world’s commercial lumber supply—that’s a staggering number that incidentally assigns IKEA significant responsibility when it comes to leading sustainable efforts within the global market. How do IKEA’s designers work to address environmental issues, and what kinds of sustainable plans do you hope to implement in the future? At IKEA we have developed a method for how we develop and design our products. We call it Democratic Design and it’s about truly good products—to include form, function, quality, sustainability, and a low price in everything we do. 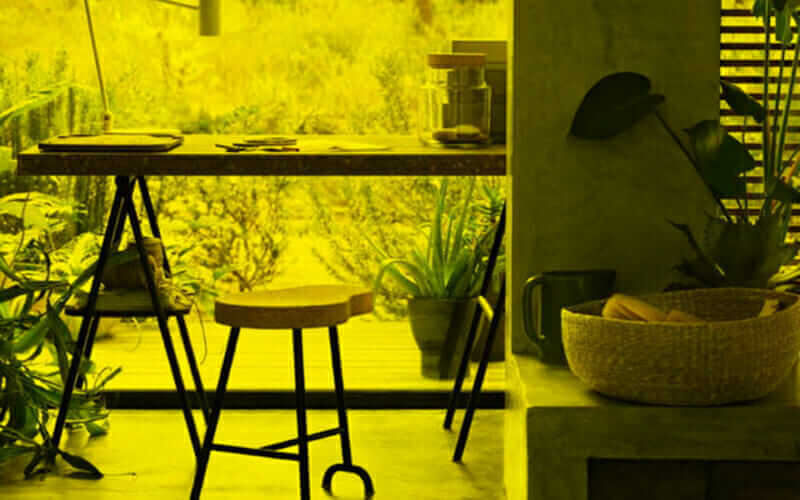 So our foundation for design includes sustainability, and it’s both about production and how IKEA, through our products, can inspire and help people to lead a more sustainable life. Speaking particularly about wood, which is a fantastic renewable material, we are working globally with responsible forest programs. We have our own foresters to secure good forest management, which of course also included regeneration of forests. We also work with certification programs; at this time 100 percent of our forest is responsible sourced, and on top of this almost 75 percent of our wood comes from what we define as more sustainable sources (which is FSC certified or recycled). With KUNGSBACKA kitchen front, for example, we looked at how to make furniture out of waste, as waste is a big environmental challenge and we need to start seeing it as a resource. For the KUNGSBACKA kitchen front system, recycled PET bottles are used to create the thin plastic foil that covers the chip board at the core of the fronts. For one standard-size kitchen door, some 25 bottles are used; an entire kitchen equals 1,000 bottles. The fronts are made from recycled wood from various sources, such as production waste and discarded wooden objects. We hope to achieve and do a lot! But for instance, we want to reduce our dependence on virgin fossil-based materials. Thanks to our size, we also believe we can contribute to a change in the industry and to the development of plastics made from recycled or renewable sources. IKEA is moving away from virgin fossil-based plastic materials in favor of plastic produced from more sustainable recycled or renewable sources such as waste or bio-based plastic from different sources. 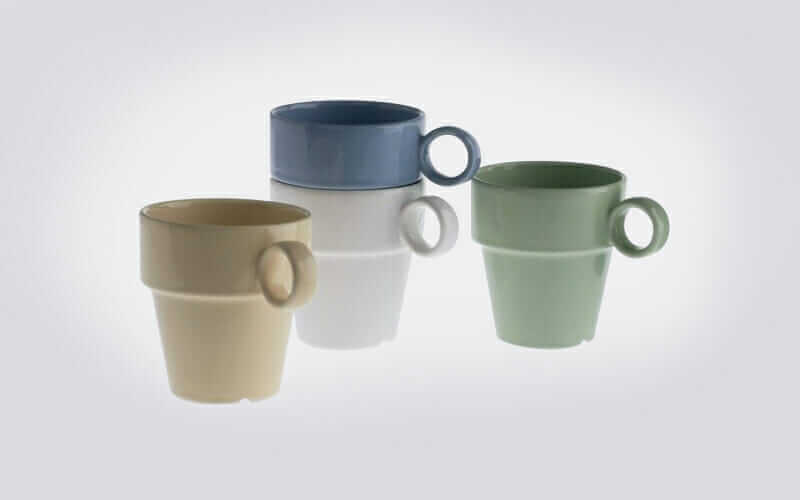 I’ve read about how IKEA’s Bang mug was designed with a particular taper that allowed optimal use of kiln space while the pieces were fired—this is just one clear, ingenious design decision that helped lead IKEA to the status it’s at today. Can you tell me more about how you implement manufacturing and packaging into the design process? The development and design of a product is a team effort. By working together in teams with competencies, ranging from design and engineering to packaging and expertise in the supply chain, we ensure that Democratic Design is being fulfilled and those important aspects such as packaging and manufacturing are part of the process from the beginning. It’s not enough if a product looks great. If it cannot be packed and manufactured in a good way, we have an issue because that will affect the price and in the end our customers. So, at IKEA, design takes place on the factory floor, together with experts from various disciplines. A prerequisite for us to create the low price is efficient usage of material, efficient and innovative processes, getting rid of non-necessities like too much paint. Hence, thinking sustainability is part of how we create the low price. Not being wasteful will always lead to a low price. From a sustainability perspective, affordability is very important—if the end solution is high price, it will only reach few people with “thick wallets,” that we don’t see as a sustainable solution. The main barriers for change are cost of change and daring to change. The impact of climate change is visible in many ways. We can see that this will change life at homes for many people. For example, in some areas the water will be scarce; in others, there will be too much water. Even if we do not see all of the impacts today, we are sure many people and businesses are looking into how to both limit impact and how to adapt. We are working hard to reduce our footprint throughout our value chain, from raw material, to design, to production, transport, and all the way to customer. What power does your company have in affecting climate change that others don’t? I’d say that our size is an enabler. When we do something, it reaches many people. I have mentioned our decision and journey to offer affordable LED bulbs before. Our portable induction hob TILLREDA is another example. It’s 40 percent more energy efficient than other hob varieties and halves cooking time compared to conventional hobs. A chair from the 2017 Piet Hein Eek collection for IKEA. The low price is also an enabler. From time to time I hear the contention that IKEA with our low prices is about throwing things away, consumption. No, it’s about reaching out to more people, bringing them great value. Because everybody has the right to great design, not only those with big wallets. It’s also about making things better, which requires change. And the main barriers for change are cost of change and daring to change. Low prices helps both. If it’s not expensive, you can afford to do it and dare to do it. So with Democratic Design, where form, function, quality, sustainability, and price all matter, I believe we enable more people to afford and dare to change in a sustainable direction. Since being appointed head designer at IKEA, you’ve led a focused effort to invite seasoned, taste-making designers to create pieces for the PS collection with an impressively high level of style. There is an effort to create more intuitive and beautiful joinery, which contributes to the ease of build as well as the overall look of furniture pieces. 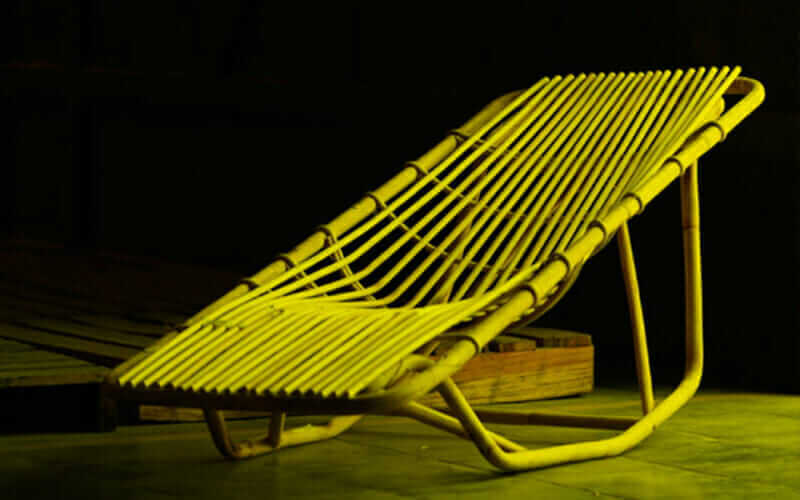 Do you think this effort to create furniture that people will want to keep for long periods of time contributes to sustainable efforts, and if so, how? I believe that what is important when making things sustainable is the emotional connection which will make you keep the product longer. 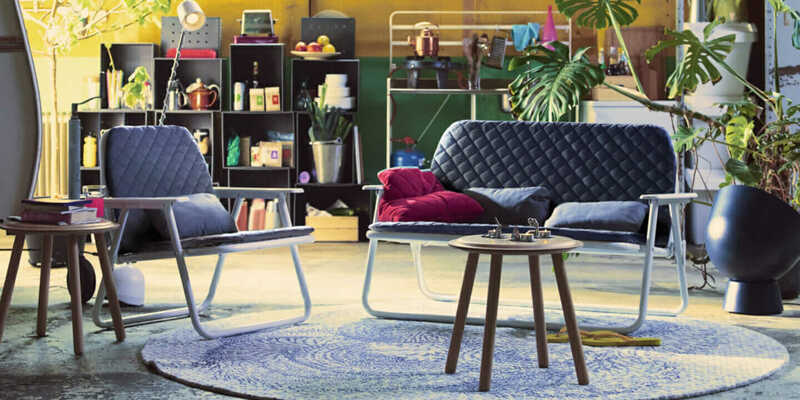 The DELAKTIG open platform, which IKEA has developed together with Tom Dixon, is designed with longevity in mind. We were looking into ways where the sofa could adapt to the constant changing and disruption in people’s lives. We designed a platform which offers endless possibilities as you can click things onto the frame, change the shape, size, or color. We chose aluminum to make it light, still very strong, but also to offer customers the possibility to change it over time, so that they can live with it for long, very long. Our easy-assembly agenda is of course also a disassembly agenda, since we know that people nowadays are moving more frequently between homes. So this is also a way for us to prolong the life of our products. Article by Allison Fonder. A version of this article appeared on Core77.